I usually commence at your hotel or B&B in Bayeux (or nearby) at 8.30am or 9.00am as you prefer and we will return around 5.30/6.00pm. On D-Day after the American sector of Omaha, the Canadian sector of Juno suffered the most casualties. Juno Beach is one of the least written about elements of D-Day and the sacrifice of the Canadian forces is often underestimated, even though they would achieve the most on D-Day by almost obtaining all their objectives on June 6th. During the morning we will concentrate on the Atlantic wall and how the allies went on to achieve victory with the aid of British engineering before visiting the Juno Beach Centre. After lunch we will visit Nan Green & White sectors where the Canadian 3rd Infantry Division landed under the command of General Keller. The site of Mulberry B - the amazing artificial harbour - one of Winston Churchill's ideas, where you will be able to see its' remains, truly one of the greatest feats of British engineering of the 20th Century. There are many other artifacts of war situated around the town. Part of the Atlantic Wall, this is the battery most preserved in Normandy with the original 152mm guns manufactured by the Skoda Company in the Czech Republic. the guns are still in situ located on top of the cliffs between Omaha and Gold sectors, the battery was a threat on D-Day for both sectors and the Allied naval fleet. The site was liberated on the June 7th by 2nd Battalion Devonshire Regiment part of the British 50th Division. The sector of Juno that was landed by 7th Brigade, Canadian Scottish Regiment and visit the Croix de Lorraine, a monument to the French resistance, various German defensive positions and the memorial to the Polish 1st Armoured Division. Here is where the famous Queens' Own Rifles of Toronto landed, followed by the Regiment de la Chaudieres of Quebec. 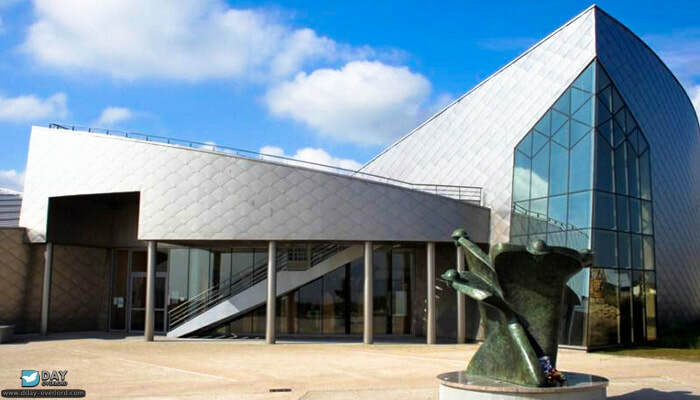 A chance to see the famous Canada House and the Juno Beach memorial to the Canadian Forces, the first Memorial to built in Normandy and dedicated by Field Marshall Montgomery in 1950. A visit to one of the two specific Canadian Cemeteries in Normandy. A place of tranquility and beauty and the final resting place of over 2000 Canadian serviceman who were killed during the Normandy fighting. Sites of German counter attacks by elements of the 12th SS Hitler Youth Division on June 7th against the Canadian front lines. The unremarkable looking village of Authie was the site of a horrific massacre. Hear about the brutality of the SS counter-attack and see the hundreds of bullet holes in the churchyard. The site of Kurt "Panzer" Meyers' Headquarters from late evening on June 7th. 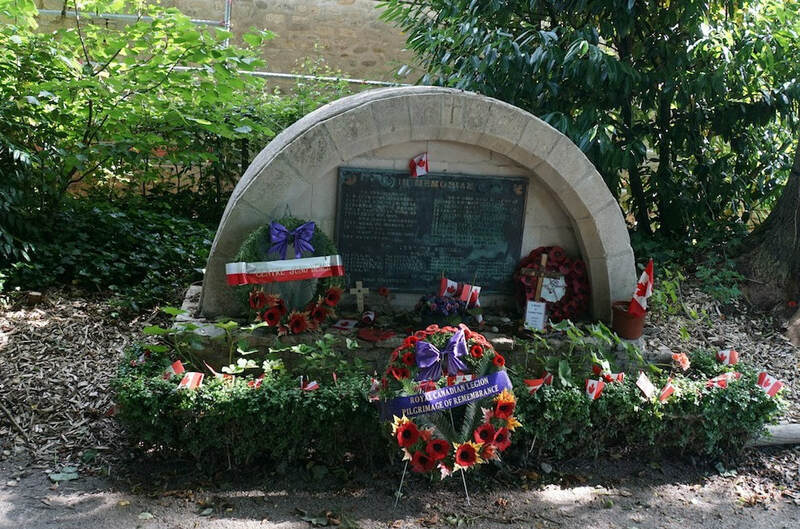 The Abbaye will forever be remembered for the executions of Canadian prisoners of war on the 7th and 8th of June and the garden of remembrance commemorates the 20 bodies discovered in shallow graves in the area. This itinerary is only a suggestion. Other locations can be included. If you have any questions please contact me.